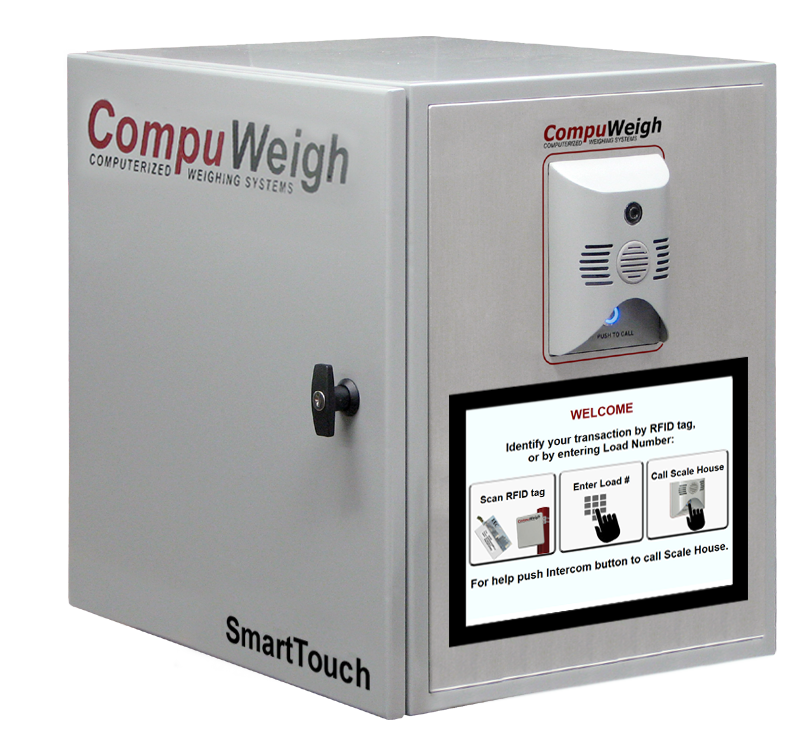 CompuWeigh can help you comply with FSMA regulations! SmartTouch is a touch-screen data collection terminal that allows drivers to process transactions (enter load order #, etc.) as well as answer questions in regard to compliance with Food Safety Modernization Act regulations or other site specific transactional questions. SmartTouch can be supplied as a stand-alone terminal or equipped with SmartTalk which is an IP based intercom system featuring digital noise cancellation. SmartTalk includes a built in web camera which allows for a picture of the driver to be recorded electronically and stored with the transaction file in iGMS.